Our product range includes a wide range of flameproof vessel led switch, flameproof limit switch and flameproof rotary switch. 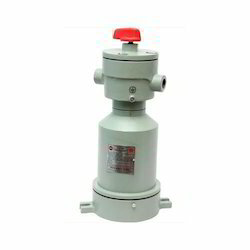 Being a quality oriented organization, we offer a wide range of Flameproof Vessel LED Switch. We assure that our clients remain satisfied from our qualitative product range. Our offered range of Flameproof Vessel LED On-Off Switch is precisely designed and engineered by the team of experts at our vendor’s end. These products are reasonably priced. 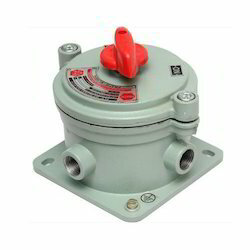 Adhering to the ethical business policies, we are offering Flameproof Limit Switch. Designed in varied shapes and sizes, these are used not only in commercial set-ups but also in residential establishments. To maintain the trust of clients, the entire range is made in adherence to the quality standards specified by the industry. These limit switches offer extra support to tube lights and enhance their service life. 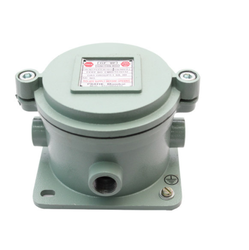 Manufactured strictly as per the industrial guidelines, the offered Flameproof Rotary Switch is of unsurpassed quality. The finest raw materials and technology applied in its manufacture, boosts its functionality, resistance to fire, strength, and durability. Along with this, the product is highly preferred owing to its reasonable pricing. Looking for Flameproof Switch ?